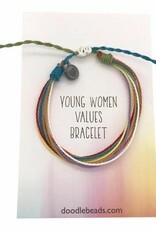 Young Women values Friendship thread Bracelet, wax cord bracelet is Waterproof and adjustable to fit any size wrist. Bracelet is accented with an 8mm tiny waterproof heart charm. Bracelet is made with 8 colored strands of wax cord representing all the Young Women value colors. 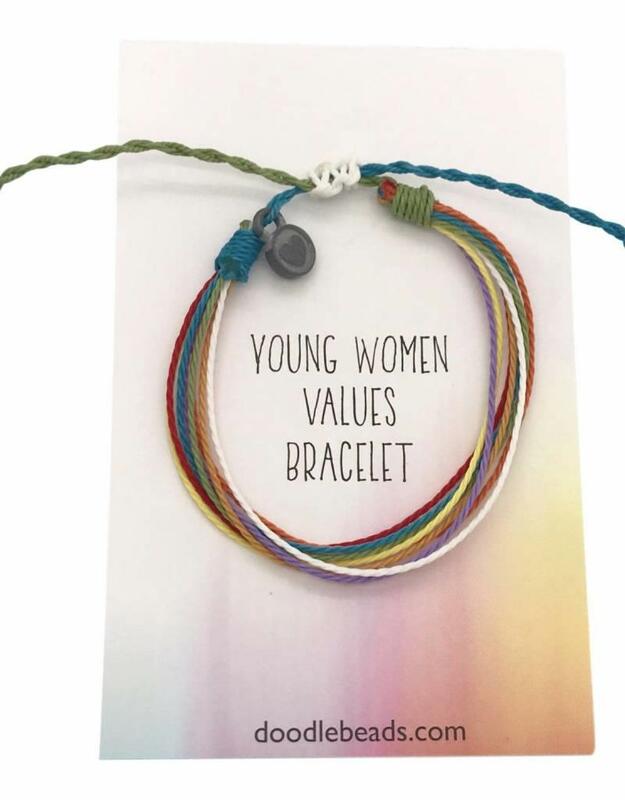 Perfect for girls camp, new beginnings, birthdays, yw in excellence etc.. Bracelet comes carded as shown in photo and in a clear cello envelope sleeve – perfect for gift giving!